The women of the First Family explore the historical landmark on their visit to China. 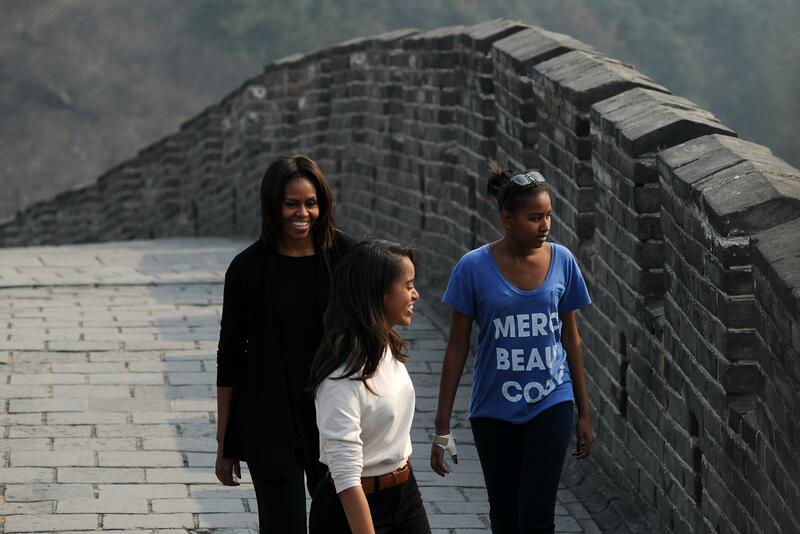 The First Lady and her daughters Malia and Sasha enjoyed a trek on the Great Wall of China today. The lovely ladies, who are on a week-long visit to China, were left alone to explore the historical landmark in the northern suburbs of Beijing. The first lady sat down earlier in the day for a candid roundtable discussion with Chinese educators, parents and students in an effort to get a better understanding of education in the country and ultimately around the world. Reports say that the people of China are in awe of Mrs. Obama’s grace and sense of style…who can blame them?